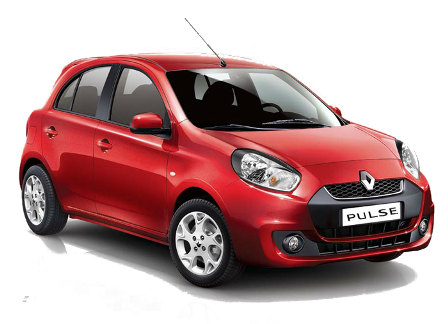 Renault Pulse – Variants, Dimensions, Capacities, Engine, Transmission, Steering, Performance, Wheels & Tyres, Fuel Economy. Rs. 4,29,000 to Rs. 6,76,300 Ex-showroom Bangalore as of 01-12-2012.